CORONADO WIDENING - KE&G Construction, Inc. 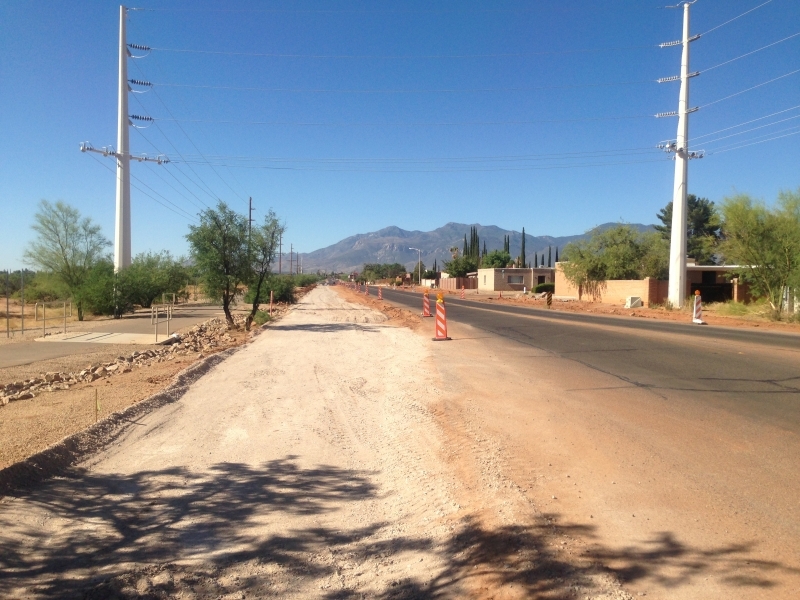 In May of 2013, the City of Sierra Vista awarded KE&G the project known as Coronado Widening. 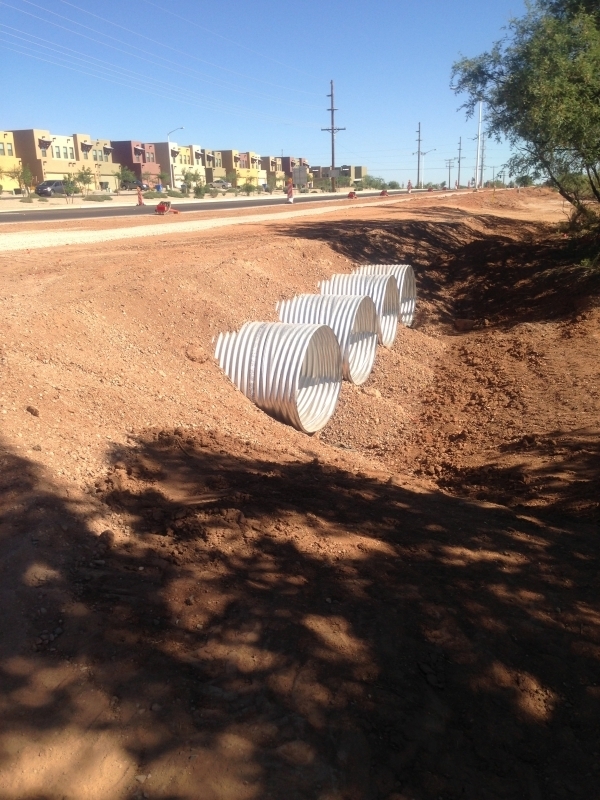 The project runs along Coronado Drive from Carmelita to the Highway 90 By-Pass which travels in front of the City of Sierra Vista, City Hall and Police Station. Project Manager, Larry Saunders spearheaded this project along with Superintendent, Brett Watson and Supervisor, Cesar Acuna. The scope of work is included a variety of components. Crews began the project by relocating the underground utilities, removing of the banks along the road and then ultimately rebuild the road way. KE&G also widened the one-lane roadway into a two-lane, improving the drainage to the roadway and increasing the flow of traffic along its path. In addition to paving, KE&G also installed approximately 4,510 SF of sidewalk, 3,560 LF of curb and gutter 8 sidewalk ramps. The project also consisted of installing 1,450 LF of grouted rip rap and placing 1250 SF of decomposed granite.